You may use a furnace to heat your home, but do you actually know how it works? Are you familiar with any of the technology that allows a furnace to produce and maintain heat? Furnaces contain a great number of components, all of which play their own individual part in the process of creating heat. Below, we’re going to discuss the major components in detail, helping you understand how exactly your furnace keeps your home warm during the brutal Darien, Illinois winters. The furnace heat exchanger is vital to the overall safety of the furnace. In this component, heat is passed through, resulting in the flow of various chemical gases. Because some of these chemical gases are toxic, they need to be filtered away from the gases that are put out into the air. The heat exchanger separates good and bad gases, ensuring that substances such as carbon monoxide are not being breathed in. The pilot light is the blue flame or igniter that is used to trigger heat in the furnace. This component should stay lit for the entirety of the time that a furnace is being used. Should it go out unexpectedly, it will need to be assessed and repaired. The gas valve is used in tandem with the pilot light in order to ignite heat in the furnace. This valve is connected to a natural gas line that provides a steady stream of natural gas. Generally, the gas valve will be engaged for the entire time that a furnace is running. It will, however, disengage whenever it does not need to produce heat. To ensure that the pilot light is aglow, the furnace makes use of a component called the thermocouple. This component exists right next to the pilot light, and is heated up by the burning flame. Acting as a sensor, it will shut off the entire furnace if it cannot detect the pilot light. Thermocouples can become dirty over time. If they become too dirty, they can lose their sensing abilities, vastly affecting the performance of their furnaces at large. When this happens, they need to be replaced. The burner is the component where the gas and spark combine. This is the driver of the furnace; the component that allows it to create heat. Whereas thermocouples are typically used in old furnaces, flame sensors are typically used in new furnaces. These tiny components work in the same way as thermocouples, detecting heat from the pilot light. If the flame sensor is not able to detect any heat, it will shut off the furnace completely. For this reason, it’s important to keep it clean. The blower motor is the component that takes heated air from the furnace and pushes it through the air ducts. This is a powerful component that is designed to thrive through years and years of use. However, on some occasions, it could break down prematurely. Fortunately, it can be easily replaced. The flue pipe is used to safely carry toxic gases from the inside of a furnace to the outside of the building. Along with the heat exchanger, it ensures that no toxic gases are being breathed in. Do You Require Furnace Service and Furnace Repair in Darien, Illinois? Do you require the services of a heating company or heating repair? 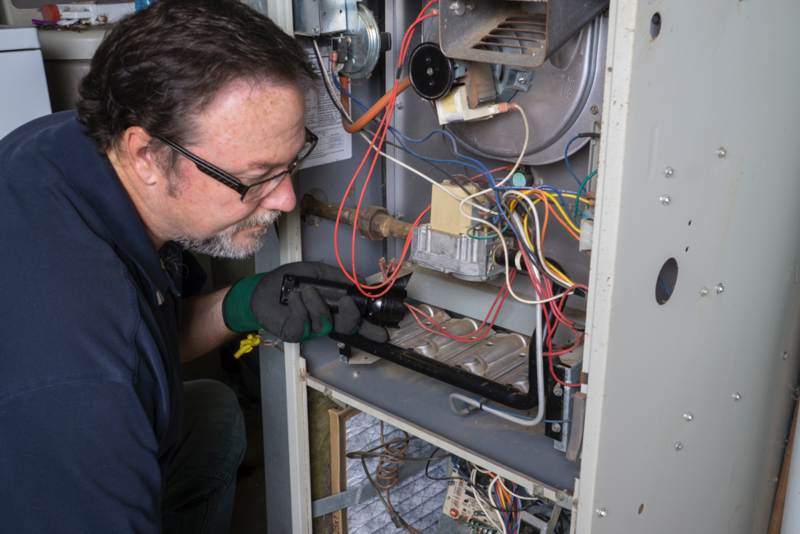 Are you in need of a furnace installation, repair, or maintenance in Darien, Illinois? Hearthstone Heating & Air Conditioning can help. We’ve been in business since 1996, and have serviced thousands of furnaces throughout the Darien area. Whether you need a furnace installed, or just need repairs on your existing furnace, we are the people to see.